Pokemon Go's first sponsored locations reportedly went live today in Japan, offering retailers the chance to create "gyms," which let players battle or train characters in the mobile game. According to TechCrunch, McDonald's is the launch brand and will use the ads for its some 3,000 restaurants in Japan. Well, Hot Topic and Red Robin should keep an eye on how sponsored locations perform for McDonald's, per research by Placed. The location data company has been tracking a double opt-in audience of 1 percent of those who downloaded the Pokemon Go game during its first week, ending July 6, and then measured their real-world store visits. It found that Pokemon Go users were 75 percent more likely to visit Hot Topic, which sells alternative-culture-related clothing and accessories, besting all other merchants. 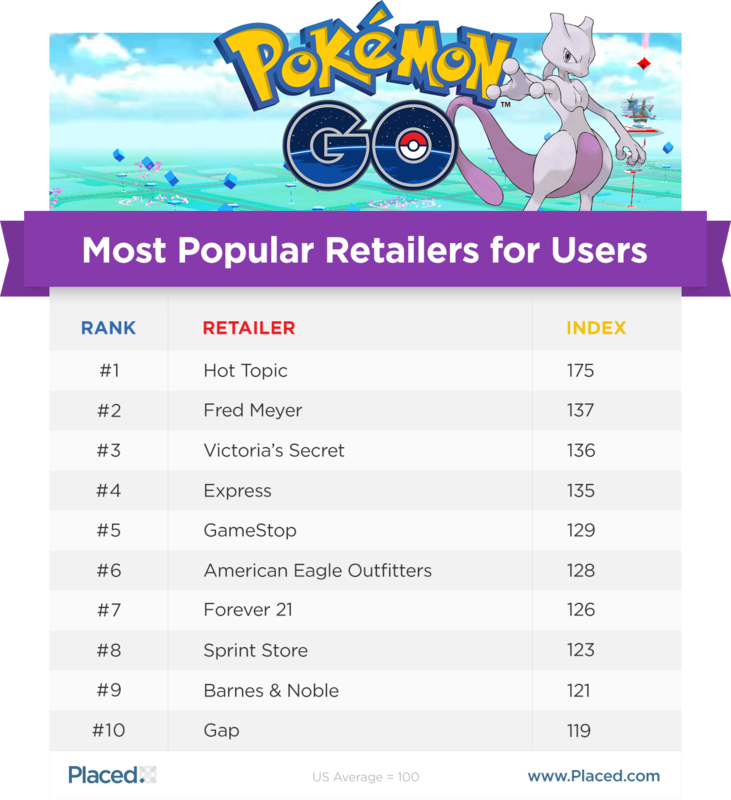 According to Placed, other retailers that Pokemon Go players frequently visited include Fred Meyer, Victoria's Secret, Express and GameStop. 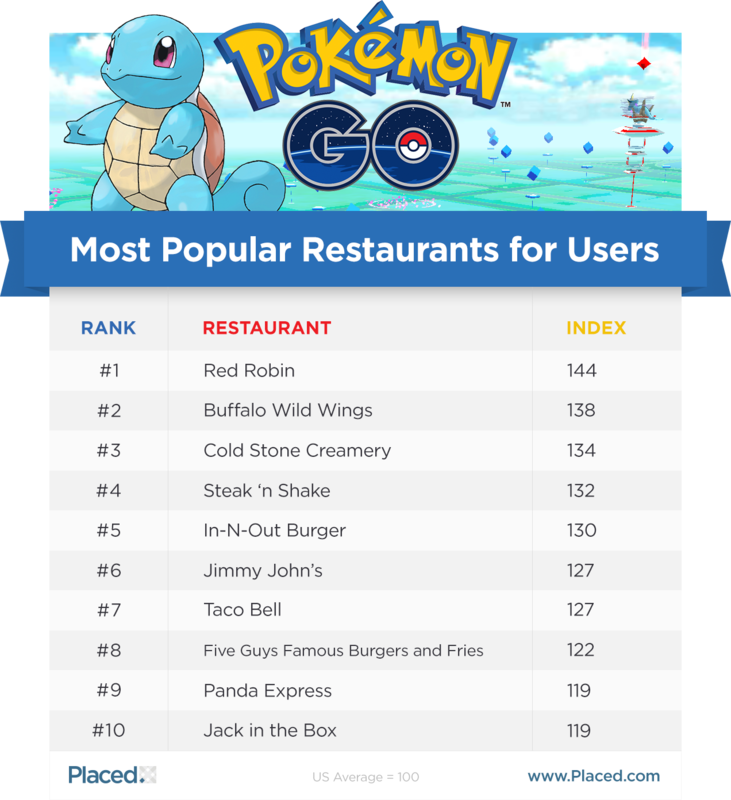 The most popular restaurant was Red Robin, where Pokemon Go players are 44 percent more likely to eat at, per Placed's metrics, while Buffalo Wild Wings, Cold Stone Creamery, Steak 'n Shake and In-N-Out Burger round out the top 5. 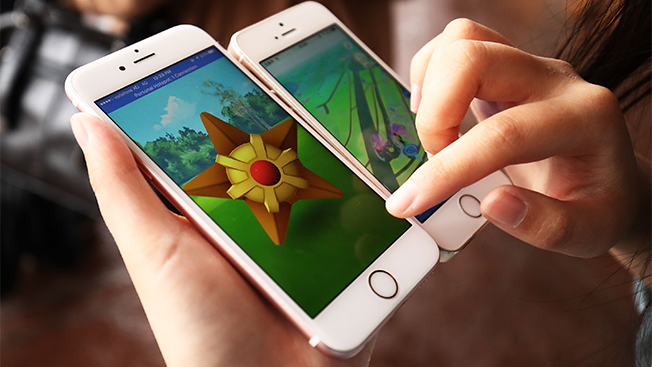 Niantic, the maker of Pokemon Go, would be wise to get sponsored locations to the U.S. in time for back-to-school marketers, suggested Jen Dombkowski marketing director for Peanut Butter & Co.
"[That] shopping season is less than a month away, so it's likely that Pokemon Go will not have waned that much in popularity by then," Dombkowski said. "Given that the game appeals to both adults and children, it's an opportunity to drive foot traffic and add some fun to what can sometimes be a stressful shopping trip." 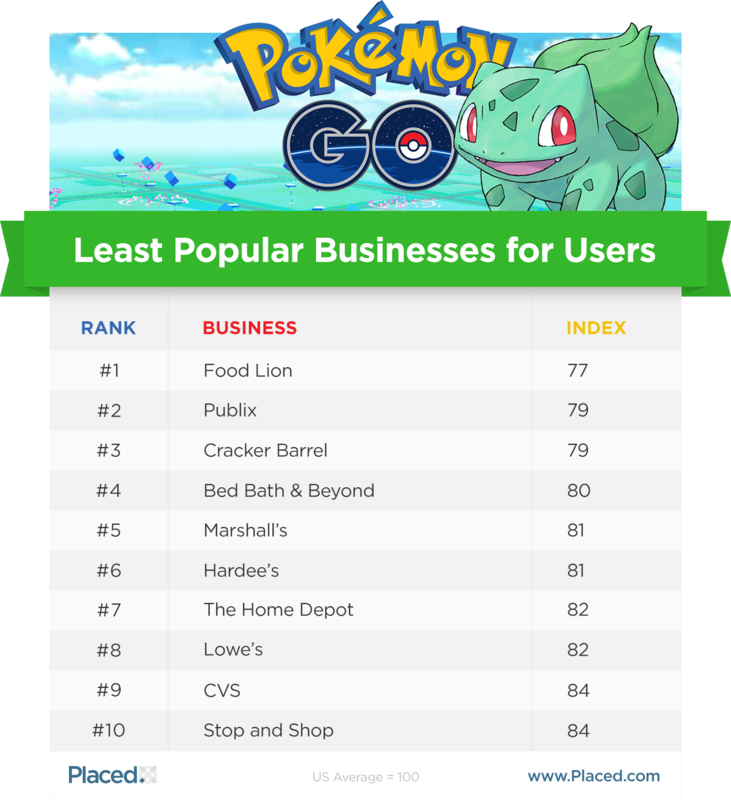 Meanwhile, here are the full top 10 lists from Placed's foot-traffic-based index scoring system for most popular restaurants and retailers, respectively, when it comes to Pokemon Go users. Additionally, the tech company offered a list of the 10 least popular businesses overall.